The world’s largest diamond jewellery market is USA. Events like engagements, weddings and anniversaries, Valentine’s Day & Mother’s Day are very popular occasions besides Christmas. 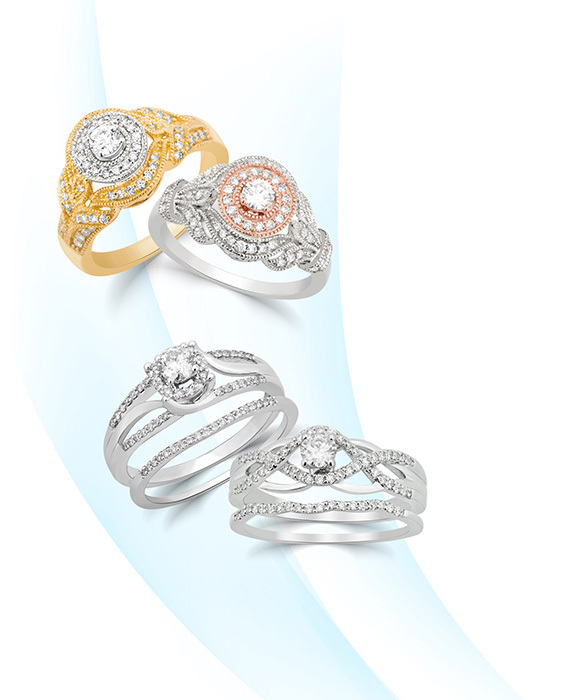 Our beautiful product range includes Bridal sets, Anniversary bands, Three Stone rings, Heart pendants and Ensembles, Earrings, Pendants, Bracelets and Necklaces. Each piece is made with exceptional craftsmanship and finished with fine jewellery settings. We are servicing prominent retailers including chain stores, television networks & Independent stores across the USA.